Fantasy soccer games are games that you play online and allows you to compete against thousands of users online. The Fantasy soccer games allow you to test you managerial skills online with your skills reflected with how good your team fairs on in the various leagues online. With the soccer games online, you have the opportunity of obtaining or winning the much-coveted cup, the Fantasy Manager Cup, as well as winning cash prizes. However, you first have to be enrolled to the various leagues and create a team so that you can start competing. Below are some of the popular fantasy soccer leagues online. Mail Online Fantasy League provides a decent proposition for players who want to keep it simple and build up a league with your teammates. 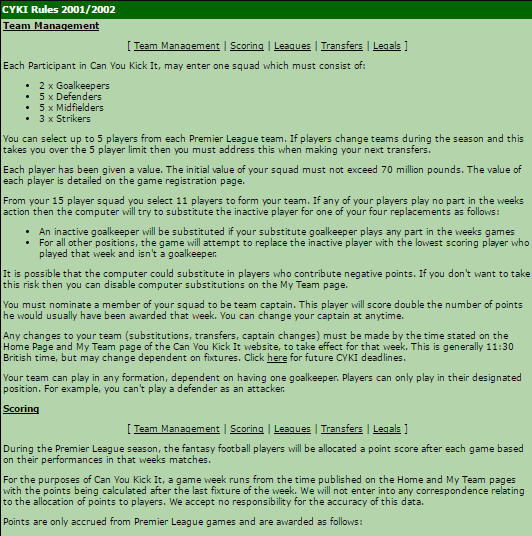 Powered by the fantasy league, it uses its player list and scoring system, dashing away a few home rules for transfers. It offers both free and paid options depending on the preference of the player. In 2007 to 2008, the Mail Fantasy League launched the paid game offering double the prize money at £10 per game. One can get more packages of £15 and £20 with the Silver and Gold Packages that have more competition and statistical reports. It's not overly demanding by using its simple rules and 45 transfers a season; with 15 transfers in a 3-month phase. One has the benefit of winning £25,000 in prize, which can be divided to £5000 per month in 3 months as a solo player. In this case, one can only register one team and the prize money is average in comparison to The Sun Dream Team and You the Manager. 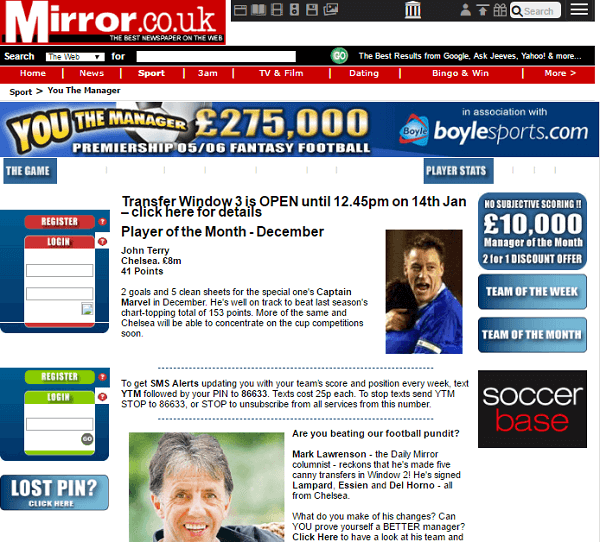 FA Premier Fantasy Football provides the best free football experience with over a million registrations in 2006. 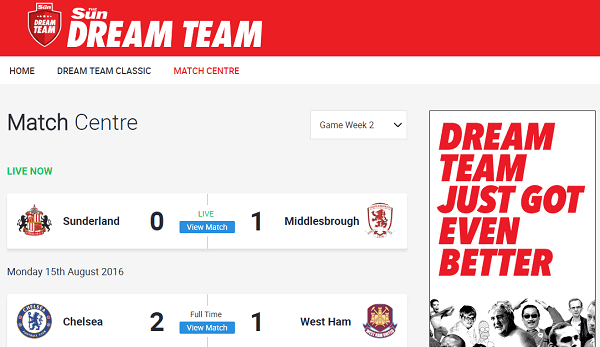 Hosted by the official Premier League Website, one can build his or her own private league where they play by their own rules, at the same time creates a well-balanced football game experience. FA Football Fantasy also provides a wide variety of support through website statistics, live scoring updates and injury news which is unmatched to any other premier fantasy football game. 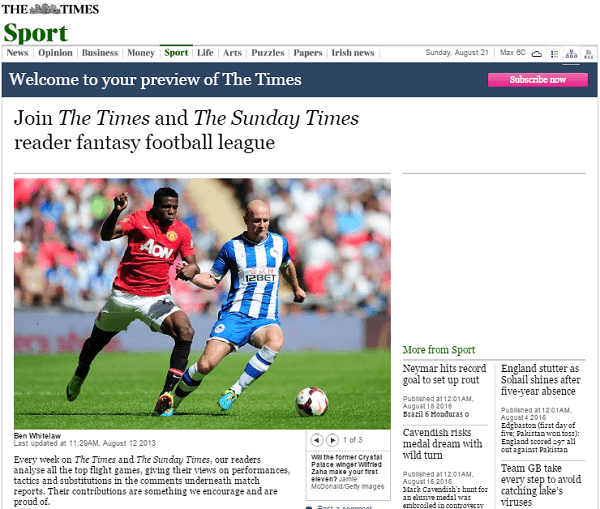 The Times Fantasy Football offers a better appeal at am asking price of £3 a team. Its recent changes in form and shape has made it distinguishable among other Fantasy Football games. On they contrary, they also make the game less accessible. The “Advanced Play The Game Option” appeared unique but proved difficult to most of the new players. The aspect of setting themselves apart overrides g need to look for progress, results and fixtures. Although there are advantages of player loan system and the option of 25 transfer over the entire season. It allows managers improve their squad. Registration in the soccer games allows you to access the “Premier Play,” which has a mini-prediction aspect that offers 4 fixtures in a week and prompts you to predict the score. It also offers weekly prices. You The Manager is one of the online soccer games that bears multiple sources such as the Soccer World Magazine and the Daily Mirror Newspaper. It embraces multi-entrant managers increasing competition where managers can invest in quite a number of teams. This football fantasy offers more than a game but a real time investment where £275,000 is to be won. Managers hire a large number of teams to catch the prize. However, you need more than credible skills to even sniff the prize. In 2008-09 season, transfer windows was eliminated, which used to help multi-entrant managers make specific player transfers in a week. Now managers have a hands on experience on transferring players but this poses difficulty especially when a manager has a large number of teams. Metro Fantasy Football allows managers to register till 5 teams if they want to acquire the half season grand prize of £7500, but not as easy as it seems. Runners up also benefit a cash win prize, and £1000 is awarded to the top 10 managers of the month in a season. The Metro has become a more competitive online soccer games with its major improvement in the site and interface, making it more manageable and slick than last year. It also introduced automatic substitutions, and the prizes are a worthy offer considering playing the game is free. Can You Kick it soccer games emerged from the creators of the Official Premier League which has the same list of players and rules, however, the value of plays is somehow different. It differs from other football fantasy games by only allowing 12 players in a squad compared to 15, and the value of players is somewhat distorted. However, casual players can be more suitable for solo plays and private leagues. Additionally, there is no bonus system among the best three players as in a Fantasy Premier League game. Wildcard opportunity is absent to facilitate the squad’s major damages. On the contrary, it allows two transfers a week compared to other soccer which allow one. There is plenty of competition to get involved with, but I do not have s cup challenge and Head to Head League offered in FPL. Can You Kick It may display a “miniature” version of FPL, but it does offer a considerable prize of £50,000 when the registration is free. It deters multi-entrant managing by inciting a solo gameplay. This is one of the most recent Fantasy Football games and poses as a long seasonal game if you would like to earn some big money on the prize. It has put a prize of one million pounds with £200,000 for the overall winner. They have up to 100 winners a week, 500 a month, and 7000 over the entire season. Therefore, there are a number of winners and a number of cash-flashing about. As for the current season, it is free to play the game. However, one has to sign up with the Club Dream Team. Being in the club is free, and it sets a manager back to £2.99 a month or £7.99 for three months when they play in other seasons. It has also beefed up its game by including more advanced statistics and registering up to 6 teams increasing your chances of winning the prize.